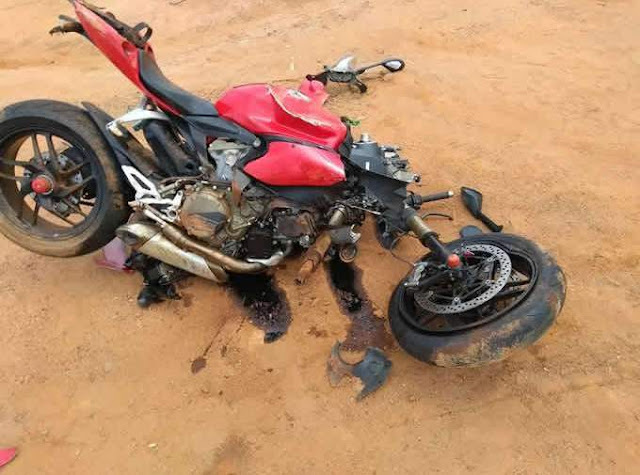 A commercial motorcyclist popularly known as Okada rider, was on Thursday morning electrocuted along the Old Otukpo Road, Makurdi, the Benue State capital. An eyewitness told a PUNCH correspondent that the motorcyclist was conveying a female passenger to her destination when he suddenly saw a high tension wire which had fallen from an electricity pole and crossed the road. The high tension wire was said to have fallen off the electricity pole when it rained late Wednesday. The eyewitness further said that the motorcyclist ignored the warning of passers-by not to attempt using the road but to turn back. It was gathered that the lady passenger who saw the stubbornness of the motorcyclist discontinued with the ride. However, as the cyclist tried to ride through the damaged wire, a part of his motorcycle touched the naked wire and he was immediately electrocuted and burnt beyond recognition. An eyewitness who identified himself as Timothy said, “We warned him against crossing the wire, but he didn’t listen to us. “Perhaps, he didn’t know why we told him not to pass the area and he probably didn’t see the naked wire. It was gathered that officials of the Federal Road Safety Corps removed his corpse and took it to the morgue of an undisclosed hospital.